1. 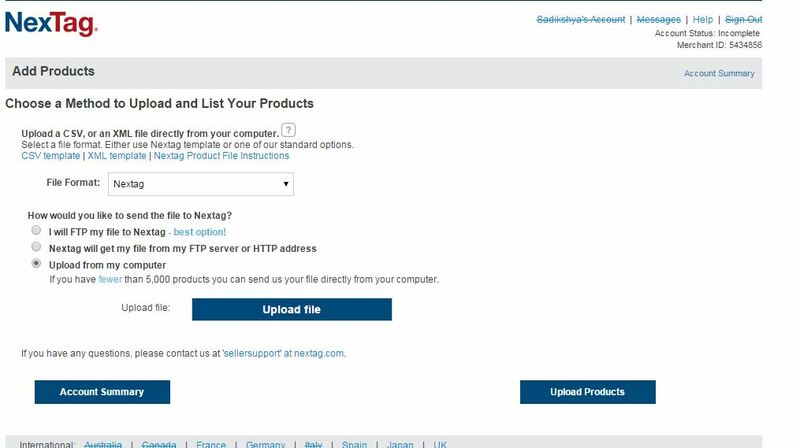 Log into your Nextag merchant account. If new, Click Here to Register. 2. Go to Set Listing Options. 3.Go to Advanced. 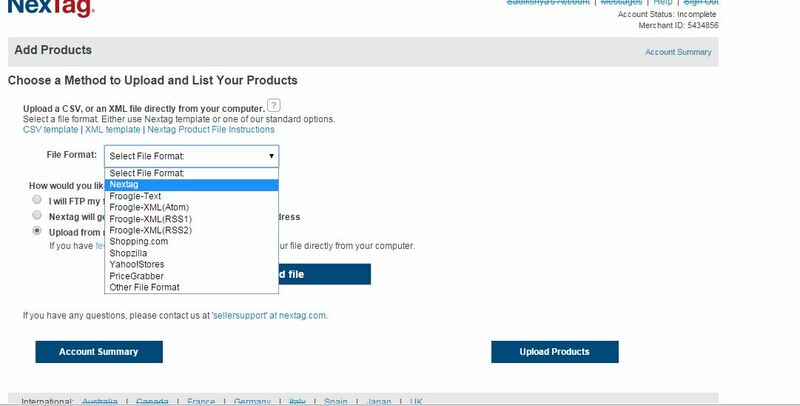 Go to File Format and select Nextag. OR, “Upload a data feed via FTP” and also “Upload a data feed via HTTP“. 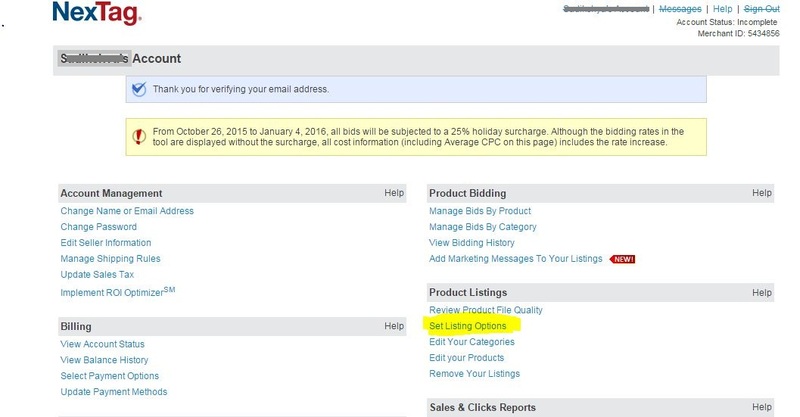 After Uploading the file, log into your account and click on the “Format Your Product File” section of your Seller Dashboard. Inside, you are required to verify the column names of your data by clicking on each drop-down menu. The displayed data is pulled directly from you Product File. Click on “Save Changes” once you have verified the Column Names are correct. Failure to do so may result in errors when processing your Product File. Wait at least four hours, then check the “Review Product File Quality” link to verify that it successfully imported your product file.